Below you can find press releases and recent news about Keane.  Are you looking for unclaimed property news and legislation updates on escheat laws by state? If so, sign up for our Keanotes newsletter for real-time updates and alerts. You may also be interested in attending one of our regional events, or viewing one of our Unclaimed Property Webinars. New York, NY - July 9, 2015 -- Keane will be hosting a series of unclaimed property seminars in St. Louis, Phoenix, and Palo Alto. These free seminars are a chance to learn more about the complexities of escheat compliance and hear first-hand from state officials. New York, NY - October 21, 2014 -- For the 5th consecutive year, Keane was rated the top provider of lost shareholder search & asset recovery services by Corporate Issuers in Group Five's annual survey.